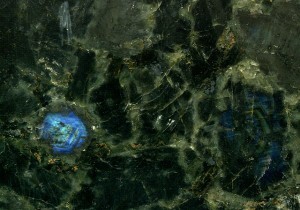 A typical Volga Blue Granite price per square foot ranges from $30 to $45. Depending on the slab thickness and finish. This stonework is quarried from the rich bedrock of Ukraine. Not the usual place to mine creative stones like India, Volga Blue also goes by the names of Blue Wolga, Rasputin, and Russischer Labrador, among others. Volga Blue Granite has a great demand in the market today. 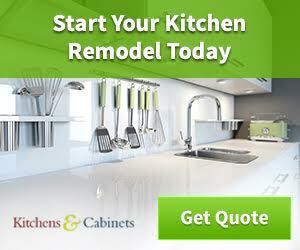 Browse More Granite Prices, Click on the link below! The speckled pattern of this stone is composed of mica and quartz. One of the hardest stones out in the market today, Volga Blue Granite is also considered as one of the most attractive stones. This stonework looks basically black and grey from afar, being dominated by the aforementioned colors. However, the surface will not look entirely uniform, with some patches of blue mineral deposits and veins. Once you get closer to the surface, you will notice the interesting play of the sparkling blues and whites, with a little grey on the side. Over 80% of its apparent face is composed of mineral deposits—ranging from mica, quartz, and more. The beautiful and intricate detailing of the mineral deposits makes it one of the heftiest stone works when it comes to price. This granite comes in a variety of different finishes, including polished, honed, leather, antique, and sand brushed, among others. 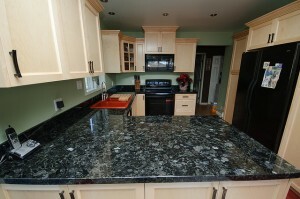 Also, this granite is easy to clean, and extremely stain resistant. The difference between Volga Blue and Sapphire granite lies on their mineral deposits apparent on the surface, as well as the pricing for each slab. As reiterated earlier, Volga Blue is dominated by black and blue, with little greys and white on the side. Sapphire Blue, on another note, is dominated by black and brown, with flecks of greys. The former is also more expensive if to be compared to the latter. If you are going for the uniformed look, you might as well go for Volga Blue. But if you are going for a more outgoing look, Sapphire Blue might work for you. It is a widely accepted fact that pairing darks with whites will make a great, modern, classy look. Hence, pairing your Volga blue granite with the fresh and light cabinets, as well as furnishings, can definitely amplify your kitchen countertop or bathroom vanity into a statement maker. 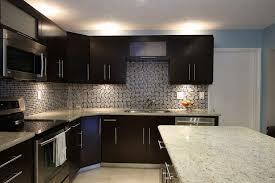 Also, you can pair up your granite with a tile backsplash to give your kitchen that much more character and charm. The combination of dark cabinets and fixtures with your equally dark granite will give your kitchen or bath a unique spin. If your looking to be different this is definitely a combination you want to look at, but beware to have plenty of natural light in the room you intend on using this pairing. You may opt to install yellow lighting to make it homier or incorporate lighter accent pieces and accessories to balance out the mood. Either way, this pair will never go wrong together!